Recently much media attention has be placed on the infection prevention and control (IPAC) and reprocessing practices in the dental practice setting in Ontario. Although rare, a look to the literature indicates that there has been transmission of various bacterial infections and hepatitis though care provided in the dental setting. In this presentation, Dr. Chris Swayze and Anne Augustin will review relevant literature, discuss real life experiences related to IPAC lapses in dental practices, changes in IPAC standards in dentistry, highlight important aspects of reprocessing followed by a review of tools available for self-assessment and investigation. Anne Augustin MLT CIC started her career as a medical laboratory technologist with an interest in Microbiology. She obtained and has held her CIC. ® designation from the Certification Board of Infection Control and Epidemiology since 1991. Over the past twenty nine years Anne has gained significant experience working as an Infection Prevention & Control professional in a variety of health care settings which include long term care, tertiary care, and rural acute care. Anne is now an IPAC specialist at Public Health Ontario and faculty at Centennial College for the Infection Prevention & Control One course. 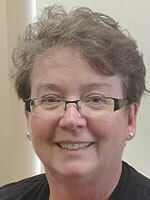 Currently she is the treasurer and past-president of the IPAC-Canada chapter - IPAC-PANA (Peel and Neighbouring Areas). In addition, she is a member of the Standards and Guidelines Committee and an active member of the Reprocessing Interest Group of IPAC Canada. Dr. Chris Swayze is the Manager, Reports, in the Professional Conduct and Regulatory Affairs department of the Royal College of Dental Surgeons of Ontario. In his role as Manager, he is responsible for overseeing a team of dentists who investigate members with respect to allegations of professional misconduct, including infection prevention and control investigations. Dr. Swayze is a member of the Ministry of Health and Long-Term Care’s (MOHLTC) Infection Prevention and Control (IPAC) Knowledge Translation and Exchange Working Group, the CSA Group Technical Committee on Medical Device Reprocessing, the Canadian Association of Medical Device Reprocessing (CAMDR), the College’s IPAC Guideline Working Group and he works collaboratively with Public Health Ontario (PHO) and the MOHLTC on IPAC issues related to dentistry. Dr. Swayze is also the contact person at the College for the 35 Public Health Units (PHU) with respect to potential infection prevention and control lapses and investigations in dental offices.